SAN FRANCISCO, June 11, 2012 – Farella Braun + Martel LLP Partner Douglas R. Young is the Bar Association of San Francisco’s Criminal Justice Section’s 2012 recipient of the D. Lowell Jensen Award for Public Service in recognition of his contributions to the Bay Area criminal law bar. The award is named after Federal District Court Judge D. Lowell Jensen, who was its first recipient last year. Throughout his legal career, Young has leveraged his knowledge and expertise for public service within the San Francisco Bay Area. He co-founded the groundbreaking Berkeley Law Foundation, an organization dedicated to providing legal services to historically under-served communities and the first of its kind in the nation. Other public service organizations he has supported through leadership positions and pro bono work include: Legal Aid Society of San Francisco, Lawyers’ Committee for Civil Rights of San Francisco, American Civil Liberties Union of Northern California, Legal Services for Children, Native American Rights Fund, and Public Interest Clearinghouse. Young was previously honored with the American Bar Association’s Pro Bono Publico Award, the Criminal Trial Lawyers Association of Northern California’s Criminal Justice Achievement Award and the California State Bar/California Appellate Project Award of Appreciation for work as appointed counsel in death penalty cases. At Farella, Young is a nationally recognized trial lawyer whose diverse practice encompasses trials and appeals in federal and state courts throughout the U.S. His areas of focus include white collar defense and parallel civil and regulatory proceedings, intellectual property, securities, unfair competition, and antitrust, including significant class action work. Young has served as a federal court Special Master in both complex civil cases and in multi-defendant criminal cases and, for 18 years, served by court appointment on the Federal Criminal Justice Act trial panel for the Northern District of California. Young has earned distinction or held leadership positions with some of the most highly regarded legal organizations in the country. He is a Fellow of the American College of Trial Lawyers, the International Academy of Trial Lawyers, the International Society of Barristers, the American Academy of Appellate Lawyers, the Academy of Court Appointed Masters and the National Trial Lawyers. A Master of the McFetridge American Inn of Court, Young is also a member of the American Law Institute and the American Judicature Society. 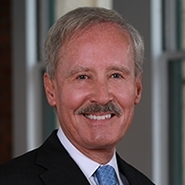 He has served as president of the Bar Association of San Francisco and the Northern California Chapter of the Association of Business Trial Lawyers. Consistently named one of the “Top 100” lawyers in Northern California Super Lawyers and a fixture in legal rankings including The Best Layers in America, Chambers USA and Who’s Who in Legal, Young obtained his J.D. from the University of California, Berkeley School of Law (1976), where he served as Executive Editor of the California Law Review.